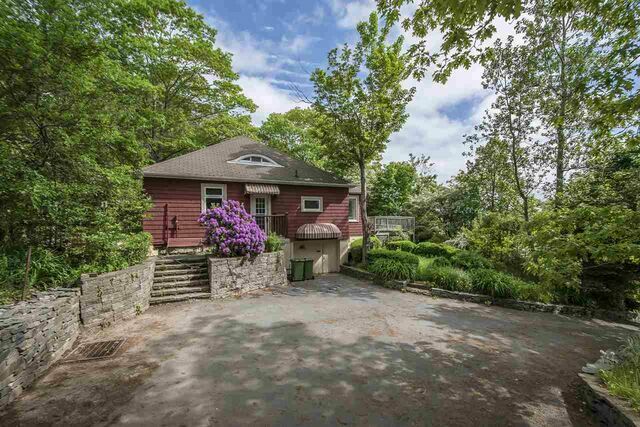 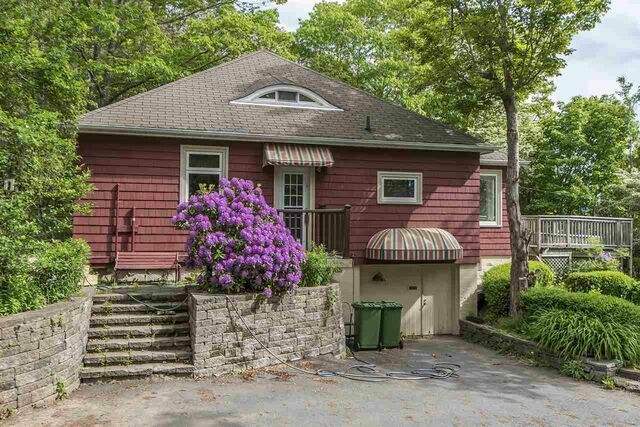 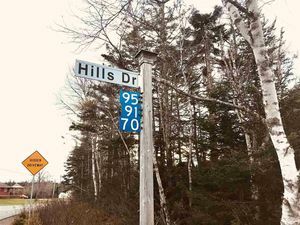 504 Bedford Highway, Halifax (MLS® 201905105 ) Unique and character filled home with beautiful ocean view and steps to the Hemlock Ravine Park with hiking trails and the beloved heart-shaped pond. 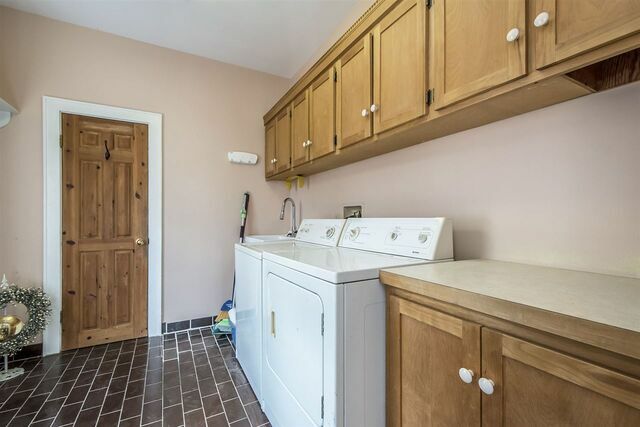 As you enter you'll find a convenient mudroom/laundry and eat-in kitchen with wood cupboards. 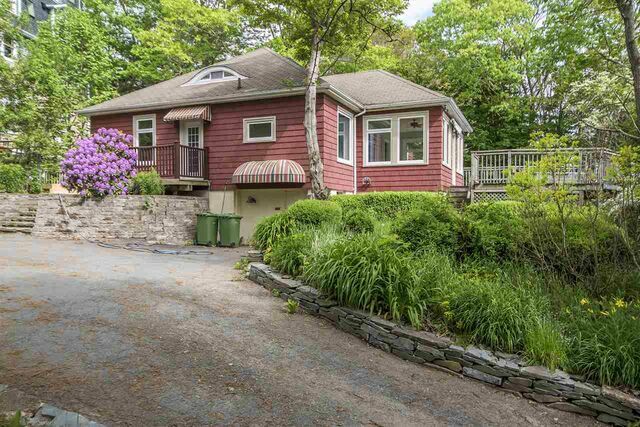 Floor to ceiling windows in the kitchen, dining and living room area as well as the sun room with stunning harbour views. 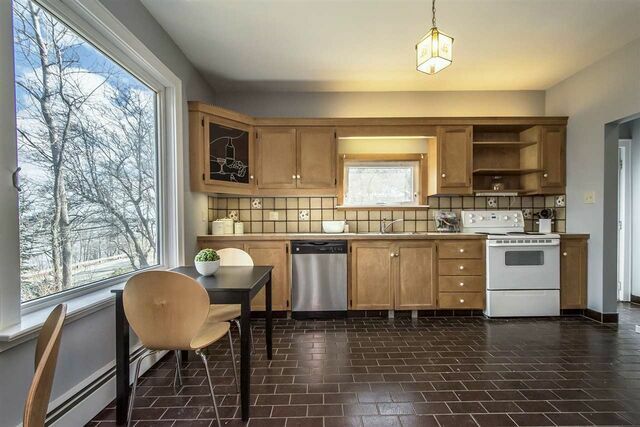 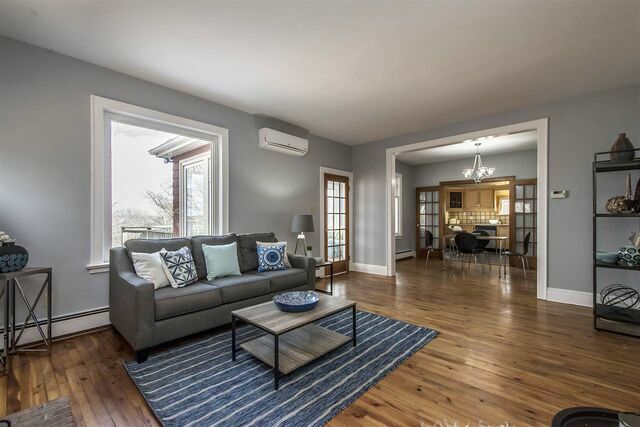 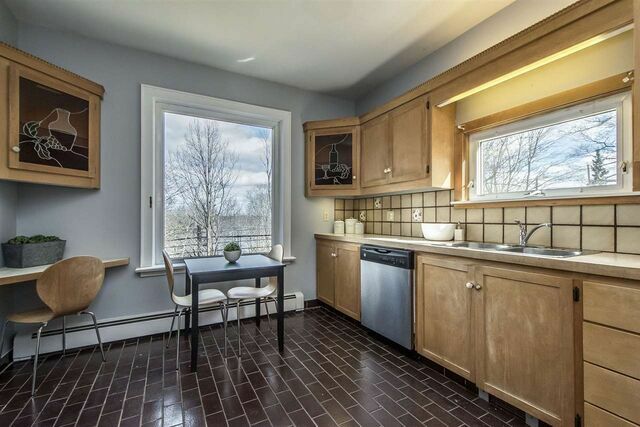 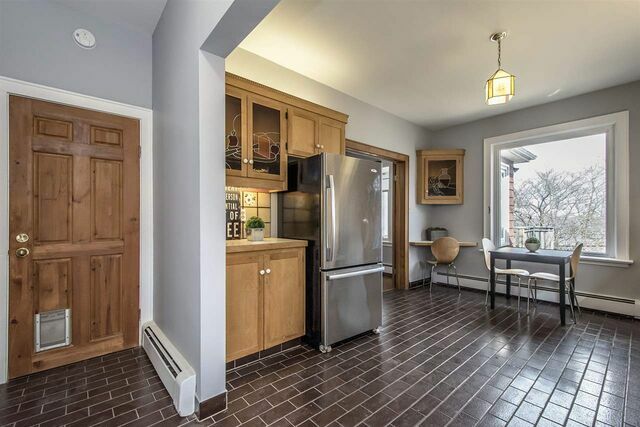 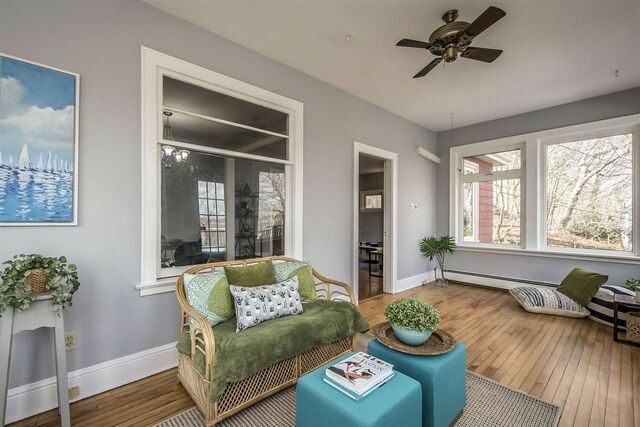 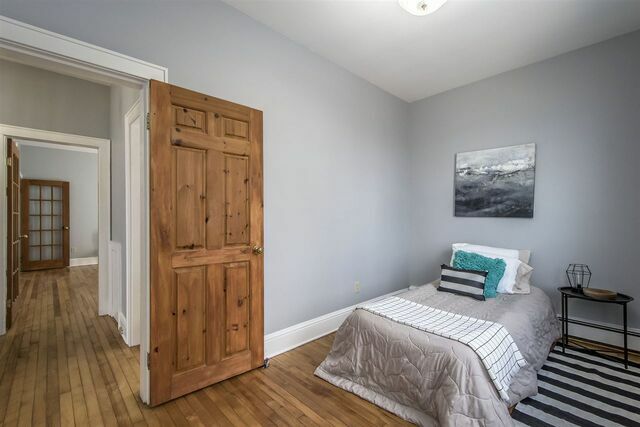 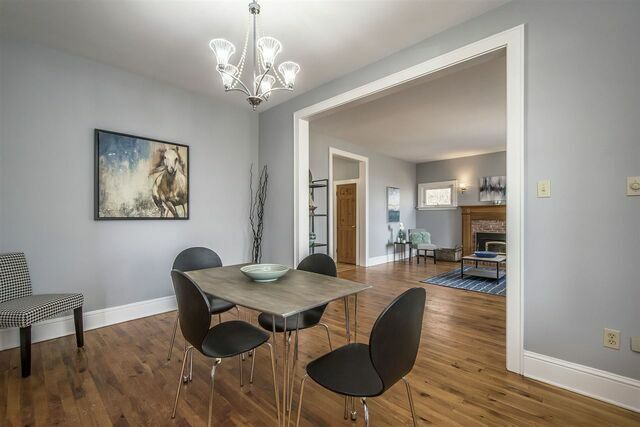 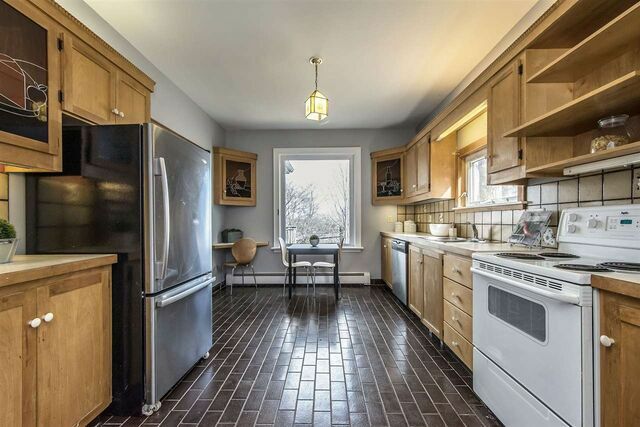 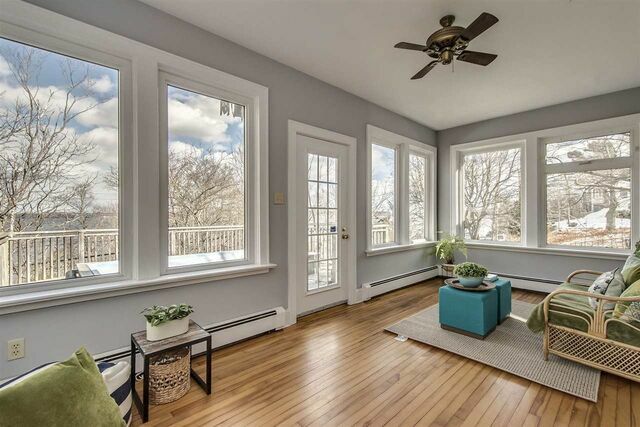 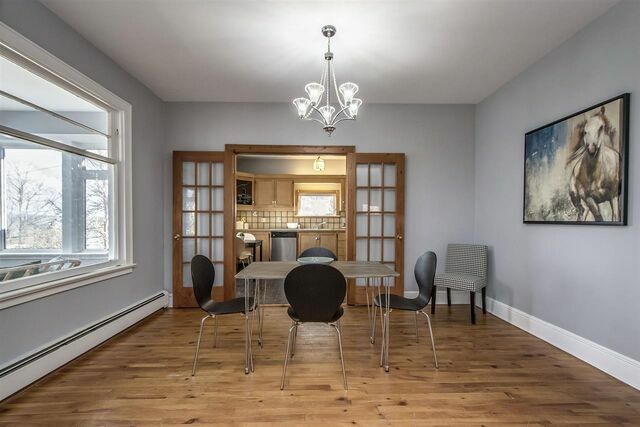 You'll also enjoy a cozy fireplace, 2 ductless heat pumps and hardwood flooring throughout. 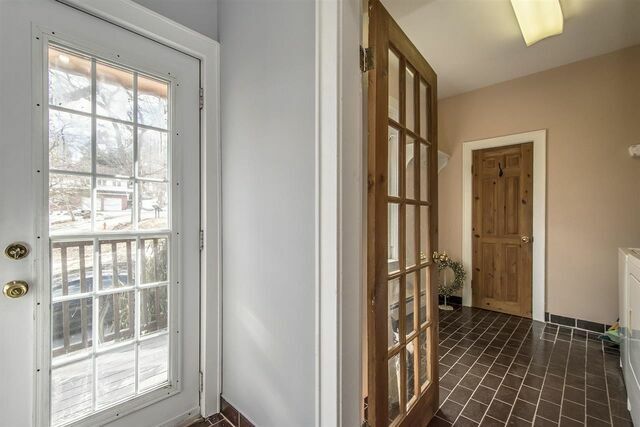 Freshly painted living area and 2 bedrooms + 1 full bath on the main level. 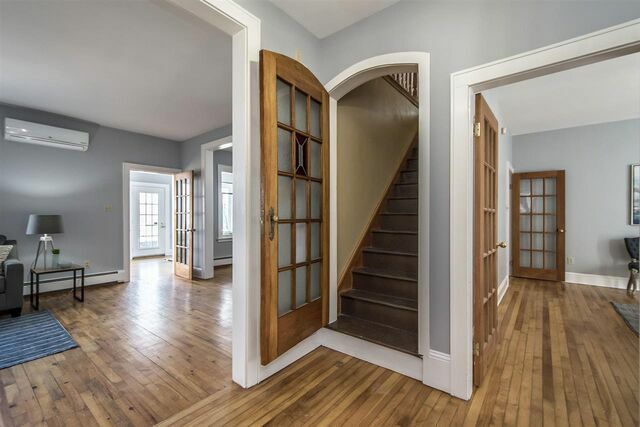 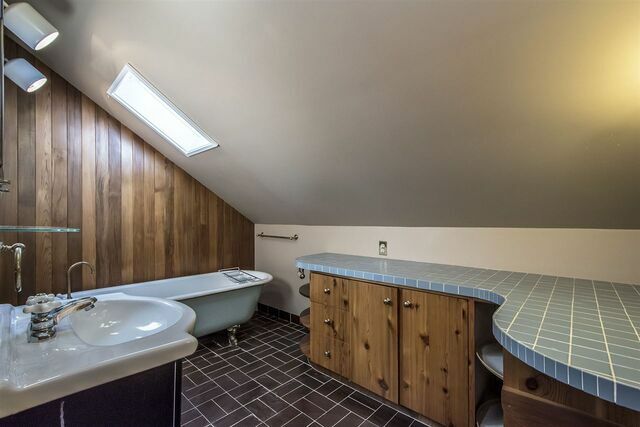 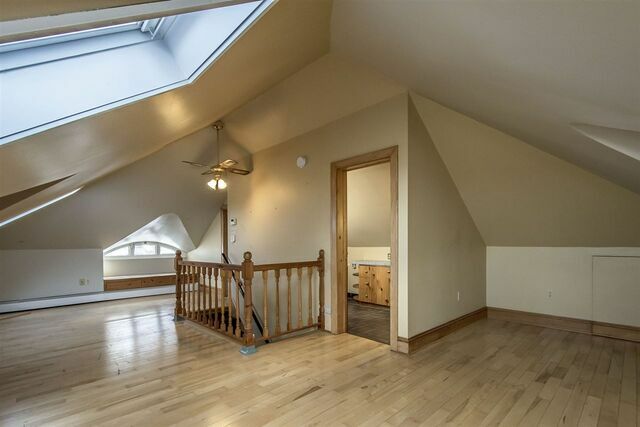 Open the gorgeous wood and stained glass doorway to the upper loft / 3rd bedroom / studio + ensuite featuring clawfoot tub. 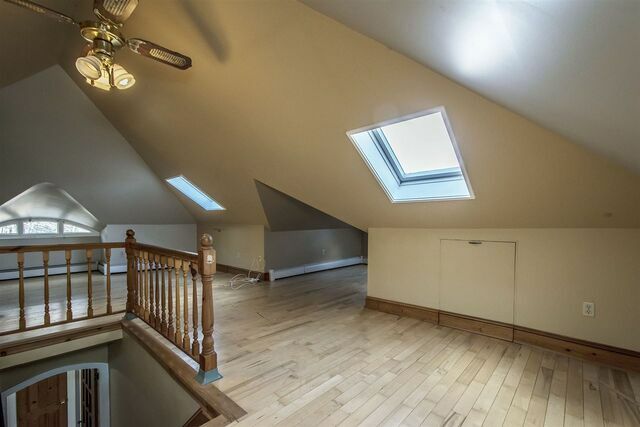 Lots of storage space up here and a built-in window seat to take in the pretty views. 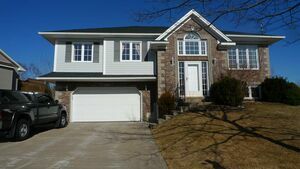 The basement has a walk-out door and garage door leading to the paved driveway. 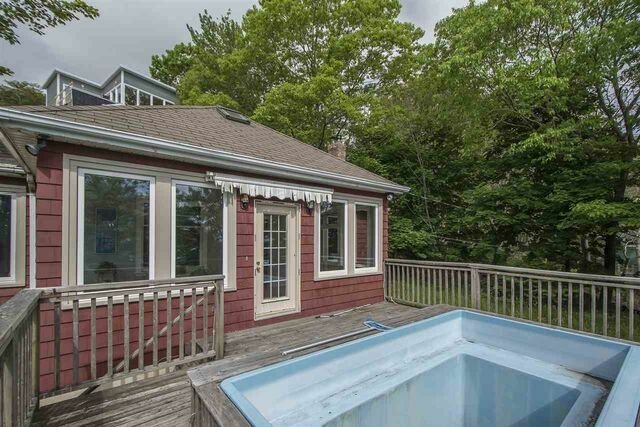 Deer frequent the garden in the sloped yard - and there's also a hot tub to relax and take in the sail boat races. 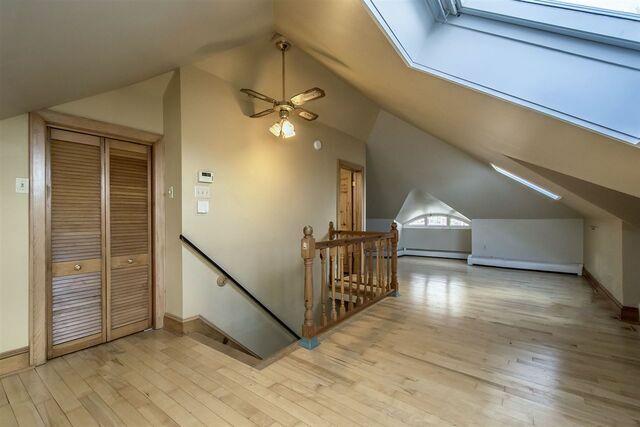 This is not your traditional cookie-cutter planned home. 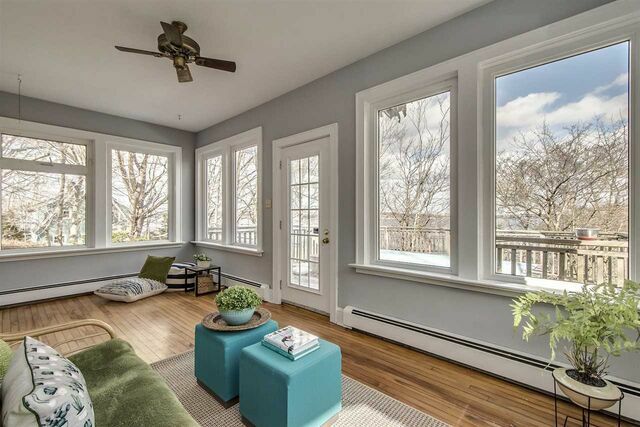 It speaks to a buyer with a creative style, love of nature with unique style. 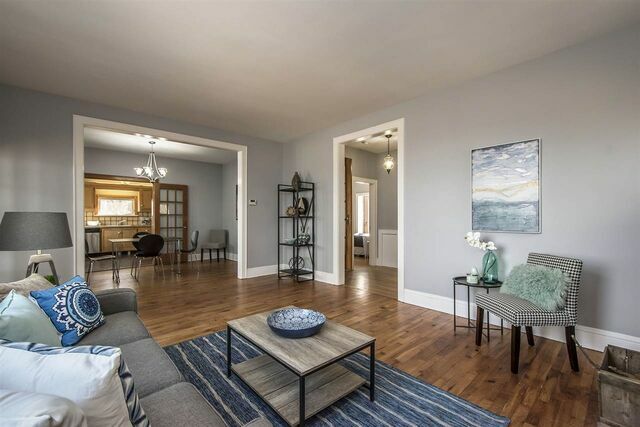 Book your private showing and be inspired today.